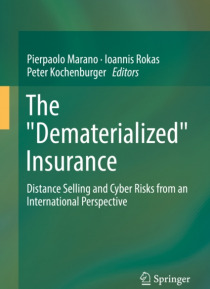 This book adopts an international perspective to examine how the online sale of insurance challenges the insurance regulation and the insurance contract, with a focus on insurance sales, consumer protection, cyber risks and privacy, as well as dispute resolution. Today insurers, policyholders, intermediaries and regulators interact in an increasingly online world with profound implications for wha… t has up to now been a traditionally operating industry. While the growing threats to consumer and business data from cyber attacks constitute major sources of risk for insurers, at the same time cyber insurance has become the fastest growing commercial insurance product in many jurisdictions.Scholars and practitioners from Europe, the United States and Asia review these topics from the viewpoints of insurers, policyholders and insurance intermediaries. In some cases, existing insurance regulations appear readily adaptable to the online world, such as prohibitions on deceptive marketing of insurance products and unfair commercial practices, which can be applied to advertising through social media, such as Facebook and Twitter, as well as to traditional written material. In other areas, current regulatory and business practices are proving to be inadequate to the task and new ones are emerging.� For example, the insurance industry and insurance supervisors are exploring how to review, utilize, profit from and regulate the explosive growth of data mining and predictive analytics ("e;big data"e;), which threaten long-standing privacy protection and insurance risk classification laws.This book's ambitious international scope matches its topics. The online insurance market is cross-territorial and cross-jurisdictional with insurers often operating internationally and as part of larger financial-services holding companies.� The authors' exploration of these issues from the vantage points of some of the world's largest insurance markets - the U.S., Europe and Japan - provides a comparative framework, which is necessary for the understanding of online insurance.